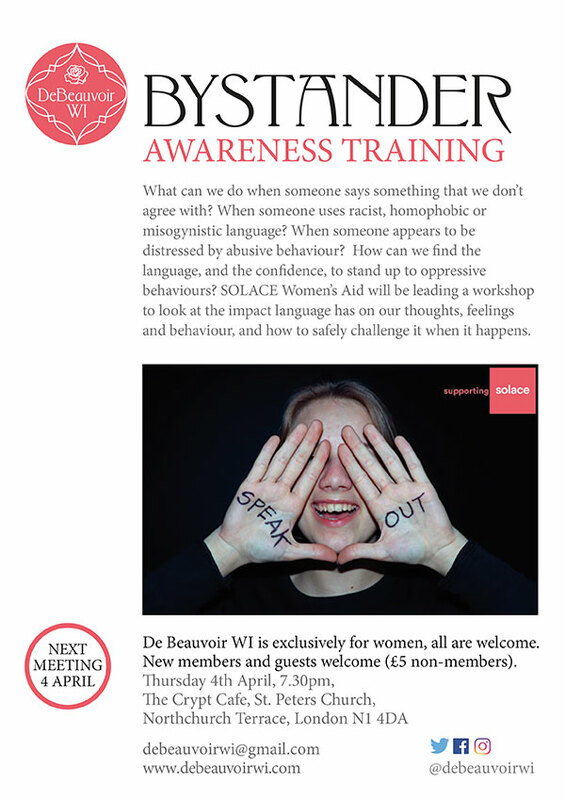 At our April meeting we found out what it means to be a positive bystander. We can be a positive or active bystander in many ways. 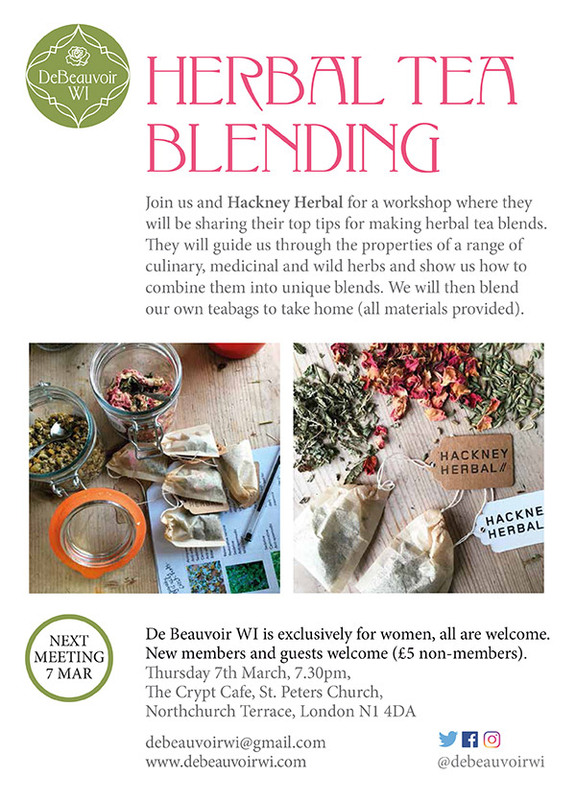 A big thank you to Hackney Herbal who came to our March meeting to talk all things herbal. Back in 2015, Hackney Herbal set out on a mission to show people how to incorporate herbs into their lifestyles, for health and improved wellbeing. The idea came from a desire to create more value out of the herbs that were being grown in private, public and community gardens. They now grow herbs in a patchwork of sites around Hackney and from these they create unique herbal tea blends. 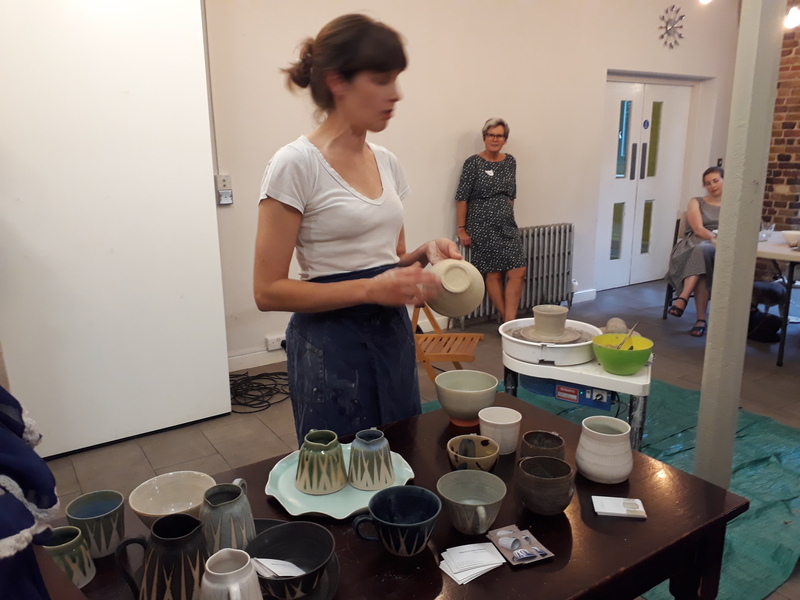 The funds from the sale of these go towards community activities in Hackney, which bring people together to learn, share knowledge and be inspired. We got to learn all about the various properties of different herbs and made a selection of unique herbal tea blends and took a whole batch of herbal tea bags home at the end of the night. 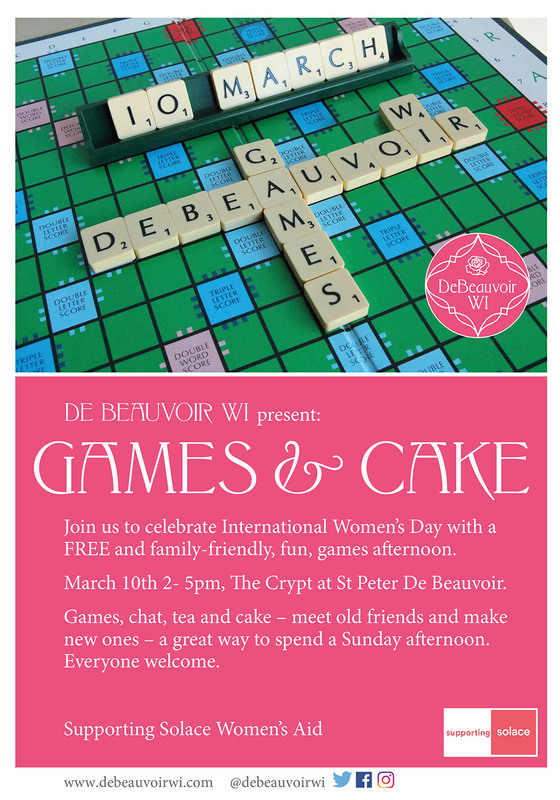 March 10th – we took part in Solace Women’s Aid International Women’s Day celebrations with a free afternoon of Games and Cake at The Crypt at St Peter’s De Beauvoir. It was a successful afternoon and although this wasn’t the aim, there were generous donations made for the tea and cake provided and we will be sending Solace a cheque later this month. We had some serious crafting going on in one corner and scrabble and cluedo particularly went down well…it was Miss Scarlet in the Hall with the Candlestick if you were wondering. Thanks to all who came and all who baked and helped on the day. Knitting group will be meeting on March 18th and our knitters are getting involved with our local yarn bombing group, De Beauvoir K2P2 who are planning an exciting project for the summer and were in need of additional knitting support, email us at the usual address if you would like to join our knitting group, beginners welcome. 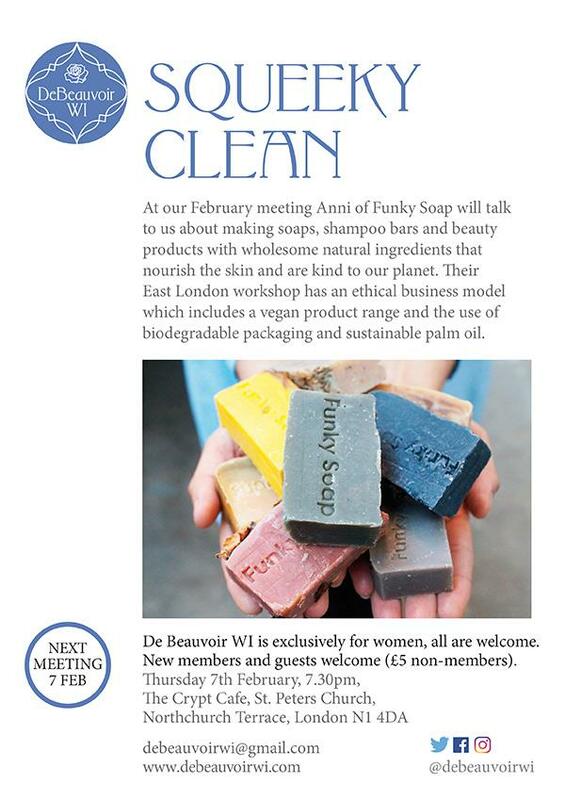 For February’s meeting we welcomed Anni from Funky Soap. 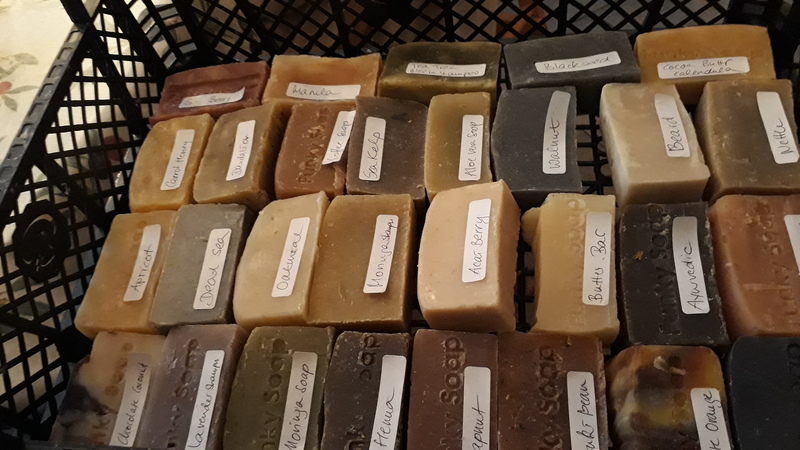 Funky Soap is a small business located in the heart of East London dedicated to crafting high quality, healthy and effective skin and hair care products that will nourish your skin and are kind to our planet. They use the power and simplicity of nature to cleanse, soothe, heal and protect your skin. 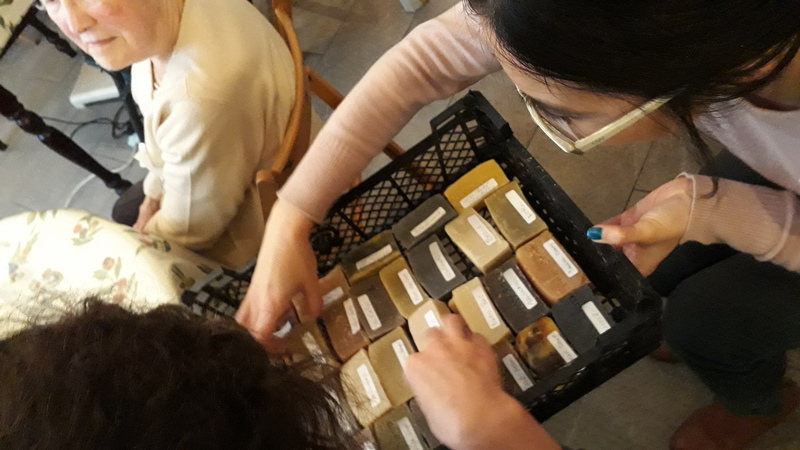 The soaps are made from only 100% natural ingredients, using pure oils and butters and the cold process method to create the soaps and shampoos. Plus Jessie from Solace Women’s Aid came along to update us on all the news from Solace. Sunday March 10th we are planning to host an afternoon event between 2 and 5pm at the Crypt Café to celebrate International Women’s Day as part of Solace Women’s Aid International Women’s Day week long festival, there will be events taking place around London throughout the week, more to follow. 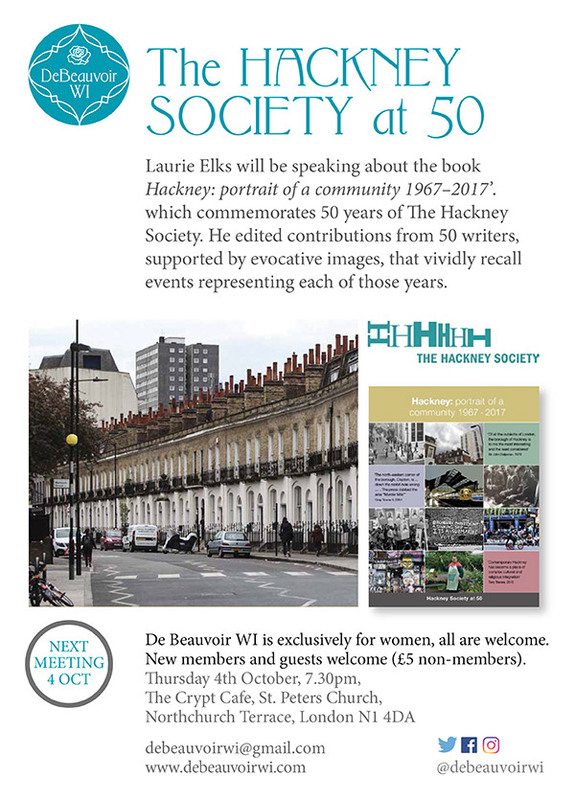 We had a wonderfully information meeting with Laurie Elks from the Hackney Society. Some of us were fortunate to meet Laurie when he gave us a guided tour of St Augustine’s Tower last month and in October he joined us to discuss Hackney: Portrait Of A Community 1967 – 2017 the book The Hackney Society published last year to commemorate the 50 extraordinary years of Hackney’s recent history since the society was established back in 1967. With 50 separate chapters from 50 different authors, the book catalogues the changing face of our borough, from ‘murder mile’ and gang violence to the rebirth of Woodberry Down and Broadway Market, from the closing of Clapton Dog track to the opening of Chats Palace, maternity services, regeneration, the Arcola, the An Viet Foundation, Rock Against Racism and much, much more . 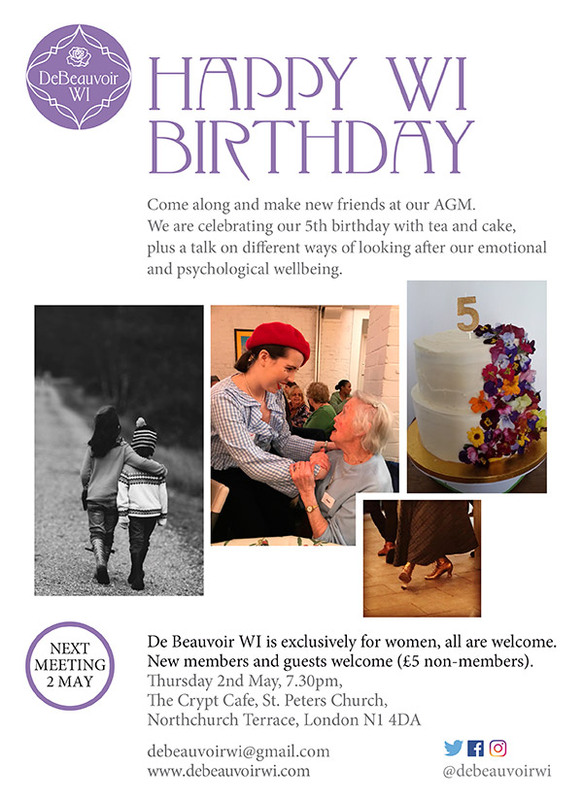 Plus a chance to catch up with old friends, make new ones and drink tea and eat cake. Saturday 29th September will be our last walking group this year. Following on from our trip to Eastbourne and our day walking from Birling Gap to Beachy Head (with a lovely pub lunch together) last year, we will be taking a trip out of London for a day long amble in the Essex countryside. Full details will be on the website but initial meeting point will be Fenchurch Street Station. Monday 22nd October is the big group meeting which this year is hosted by N1 Women’s Institute. The venue is St James Hall on Packington Street, N1, 7 – 9pm. 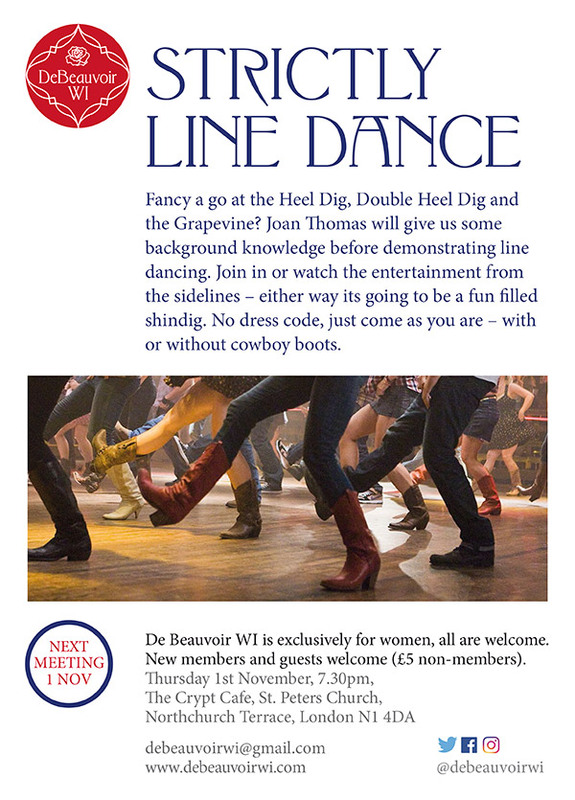 It looks to be a very interesting meeting as Dr Hollie Price will be showing some Ministry Of Information films that were originally screened for WI groups during WWII plus a great chance to meet with other WI members from North and East London. We will be sending out more information on this in due course. 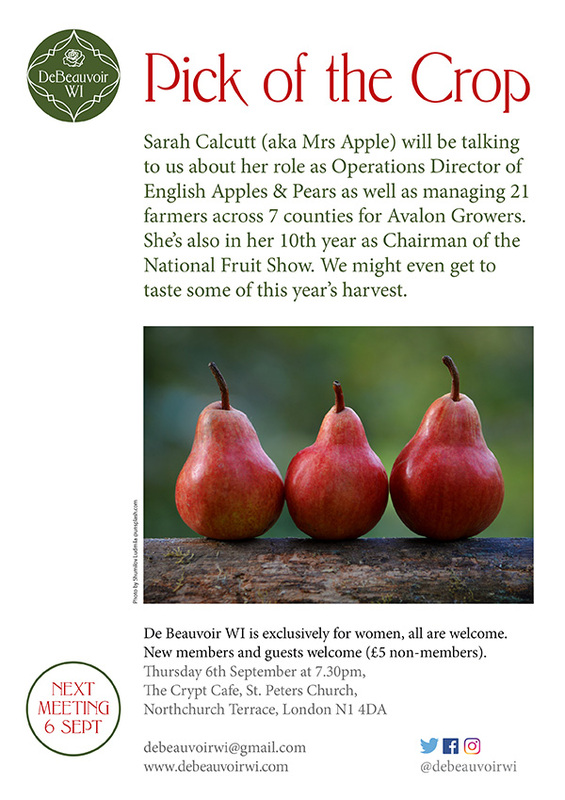 As the season of mists and mellow fruitfulness descended upon us, we had a fascinating September meeting as Sarah Calcutt, Operations Director of English Apples And Pears joined us to talk about farming and marketing the glorious apple and pear produce produced in the UK. 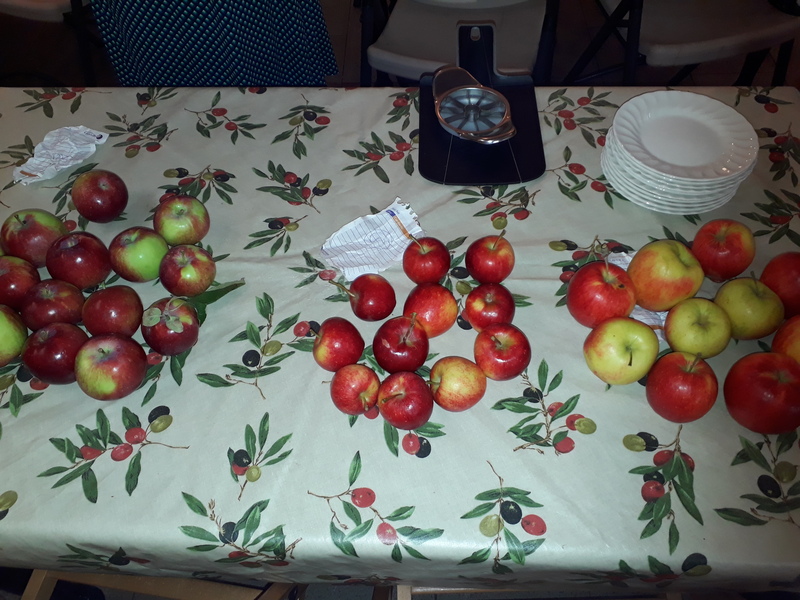 We learnt about the astonishing advances in fruit farming over the past years, how a new variety of apple comes into being, and even got a sneak preview of three new apple varieties that are in progress, one of which might well be finding its way onto our supermarket shelves in 7 or 8 years time. She was a hugely informative speaker, passionate about her subject and we had some interesting debates about packaging (without current packaging around 40% of produce would end up being wasted through bruising etc although there are major developments around decreasing use of plastic that are ongoing) and the use of specialised equipment to analyse the soil in order to target fertilizer use more economically and ecologically. 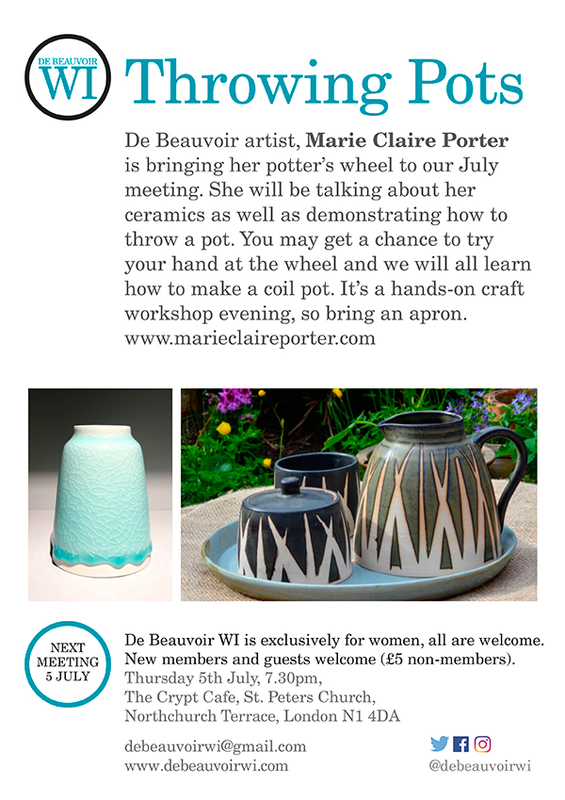 We had a fantastic hands on craft meeting in July when De Beauvoir artist, Marie Claire Porter brought her potter’s wheel to our meeting. 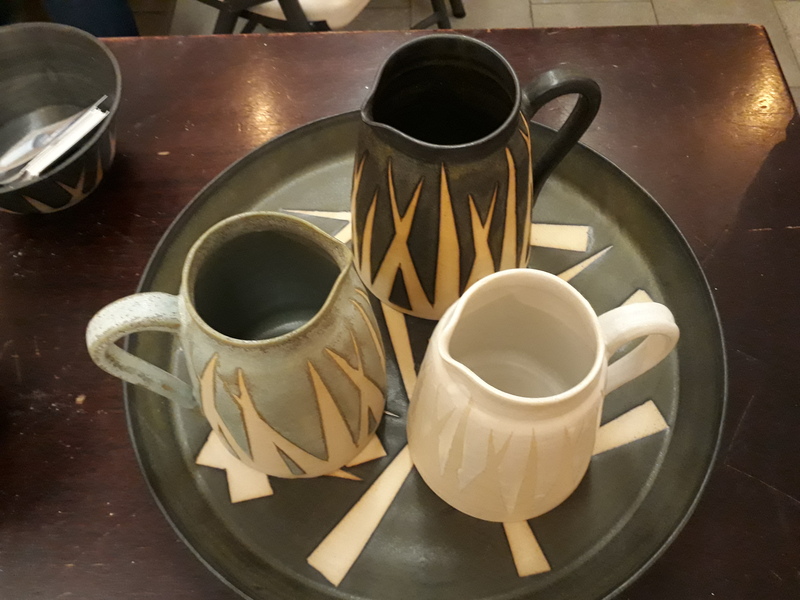 Marie Claire began making ceramics in 2014. Trained as a medical doctor and working in the field of neurology, she is drawn to making pieces that not only have form, but function, fulfilling the need to create something that was both practical and artistic. 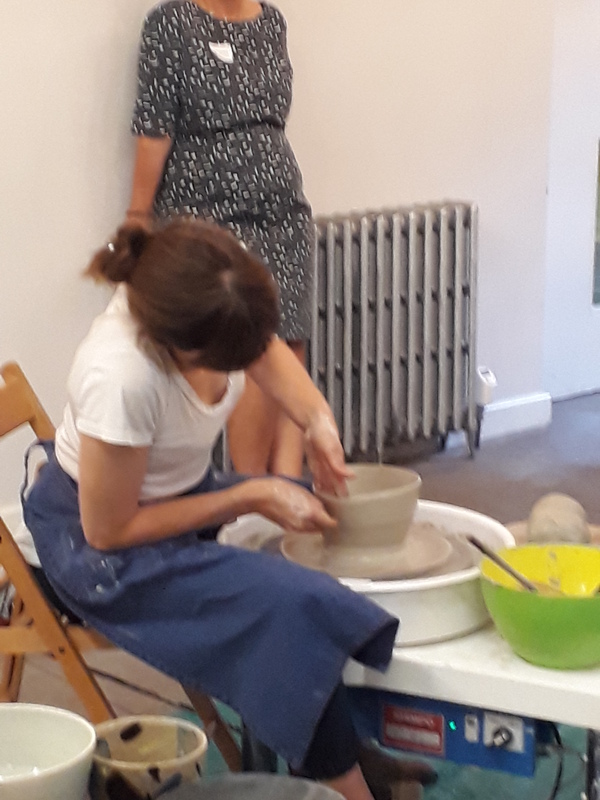 She talked about her journey from neurology to potters wheel and demonstrated the art of throwing a pot. 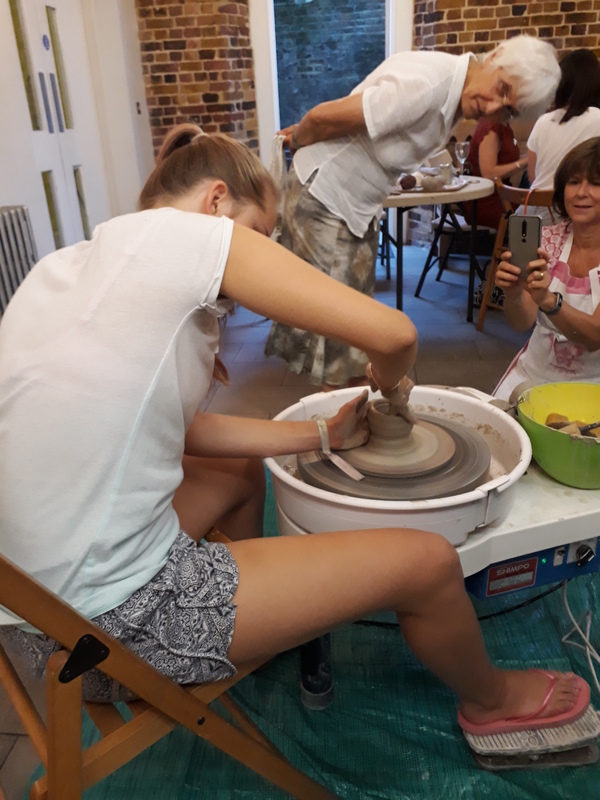 A number of very brave members got to experiment with throwing their own pots and we all took up the opportunity to make a coil pot. 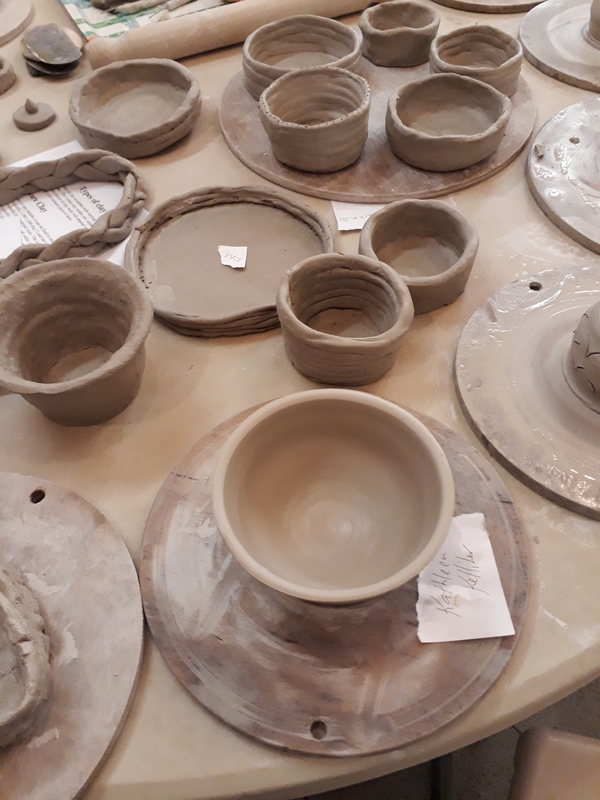 Marie Claire kindly offered to fire our pots and we clearly have a number of budding potters amongst our members looking at the array of items to be taken away to the oven.